Scenery for your dungeons and modern war table games. TERRAINS & SCENERY There are 13 products. 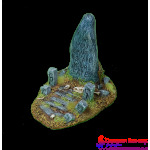 Menhir of Fate is scenic piece of scenery to your games or display. Set contains 1 resin model. Measure: Base 7 x 10 cm and height 8 cm Products are sold unassembled, unpainted and cast in high-quality grey resin. 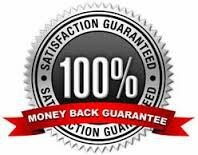 You will find more information down bellow of this page. 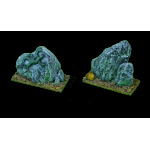 Stones of Life are scenic pieces of scenery to your games or display. Set contains 2 resin model. Measure: Base 51 x 25,4 mm and height 37 and 48 mm Products are sold unassembled, unpainted and cast in high-quality grey resin. You will find more information down bellow of this page. 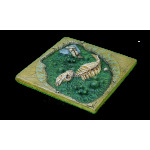 Sign Good or Wrong turn is scenic piece of scenery to your games or display. Set contains 1 resin model. Measure: Sign is tall 10 cm or 4 Inchs. Products are sold unassembled, unpainted and cast in high-quality grey resin. You will find more information down bellow of this page. 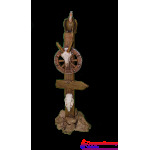 Statue Angel of Death is scenic piece of scenery to your games or display. Set contains 1 resin model. 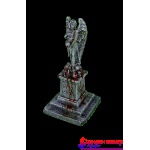 Measure: Angel of Death is tall 8,5 cm and base is 4 x 4 cm. Products are sold unassembled, unpainted and cast in high-quality grey resin. You will find more information down bellow of this page. Dead Pool is scenic piece of scenery to your games or display. Set contains 1 resin model. Measure: Base 102 x 102 mm / 4 x 4 Inches Products are sold unassembled, unpainted and cast in high-quality grey resin. You will find more information down bellow of this page. 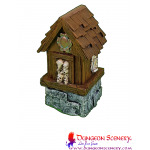 Well is scenic piece of scenery to your games or display. Set contains 1 resin model. Measure: Base 51 x 51 mm and height 34 mm Products are sold unassembled, unpainted and cast in high-quality grey resin. You will find more information down bellow of this page. 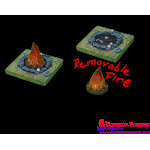 Campfire is scenic piece of scenery to your games or display. Set contains 1 resin model. Measure: Base 51 x 51 mm and height 36 mm Products are sold unassembled, unpainted and cast in high-quality grey resin. You will find more information down bellow of this page. Collapsed gate is scenic piece of scenery to your games or display. Set contains 1 resin model. Measure: Base 51 x 40 mm and height 58 mm Products are sold unassembled, unpainted and cast in high-quality grey resin. You will find more information down bellow of this page. Collapsed gate is scenic piece of scenery to your games or display. Set contains 1 resin model. 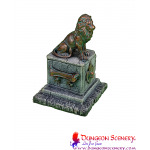 Measure: Base 51 x 51 mm and height 58 mm Products are sold unassembled, unpainted and cast in high-quality grey resin. You will find more information down bellow of this page. 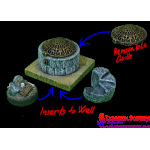 Set contains 3 resin models. 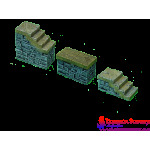 Measure: lower stair Base 51 x 25,4 mm and height 25 mm middle stair Base 51 x 25,4 mm and height 30 mm upper stair Base 51 x 25,4 mm and height 51 mm Products are sold unassembled, unpainted and cast in high-quality grey resin. You will find more information down bellow of this page. 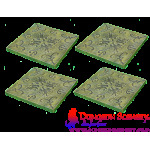 Ornate floor set Set contains 4 resin model. Measure of 1 pcs: Base 102 x 102 mm / 4 x 4 Inches Products are sold unassembled, unpainted and cast in high-quality grey resin. You will find more information down bellow of this page. Set contains 1 resin model. Measure: Base 40 x 40 mm and height 80 mm Products are sold unassembled, unpainted and cast in high-quality grey resin. You will find more information down bellow of this page. Set contains 1 resin model. Measure: Base 40 x 40 mm and height 65 mm Products are sold unassembled, unpainted and cast in high-quality grey resin. You will find more information down bellow of this page.